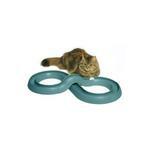 Give your cat something to meow about with this exciting cat toy from Bergan! Infinite number of combinations and variety. Hours of entertainment for your cat! 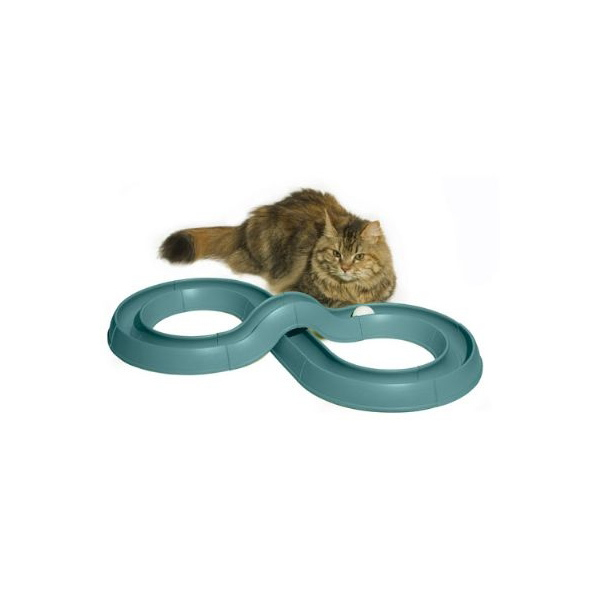 The Turbo Track Cat Toy is just the answer for the easily bored cat. The Bergan Turbo Track includes a ball for chasing and can be rearranged into any configuration! Change it up frequently to keep your cat entertained. Add the Turbo Track Dual Cat Scratch Pads for added entertainment (sold separately). Made in the USA. Turbo Track Cat Toy Customer Photos - Send us your photo! Posted On 05/24/17 by Sherry M from Flemington, NJ Yes, Sherry M recommends this product! Posted On 12/06/14 by ems from , MI Yes, ems recommends this product! Cats love this, our puppy even plays with it!! Planning on buying more to make it bigger. I like your prices and the Ravens acc u offer for my Min pIn! !